Variety, a national children’s charity, has appointed highly regarded charity worker, Peter Hebbes AM as their “Chief Barker”. 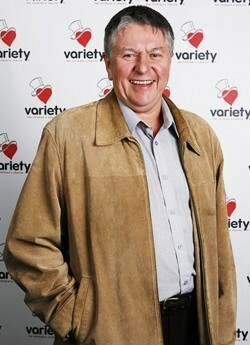 Above: Peter Hebbes AM has been named as the new "Chief Barker" of Variety. The position has been held by many high profile people since the charity was established in 1975 including Paul Hogan, Stuart Wagstaff, Tony Hatch, Grahame Mapp and Len Mauger. The Chief Barker is a voluntary appointment and as the chairman of the board oversees all areas of the charity activities. From its origins in the world of show business, Variety often uses carnival and circus terminology. For instance, a local or national chapter of the charity is known as a "tent", and the main board of trustees and others of a particular tent is called the “Crew”. The chairman of the board is called the Chief Barker, after the man who drummed up customers at the fairground. Peter Hebbes commented on his appointment saying, “I am thrilled and honoured that my peers have voted me into this position and I look to an exciting but challenging two years. “Variety spends over one million dollars a month on its various programs and therefore raising this money is of a high priority and in the current financial scene is very hard work but we are privileged to have tremendous supporters and volunteers who are out there working for Variety every day. “During the next 12 months we will see the introduction of new federal legalisation regarding charities and how they operate and I am pleased to say that Variety NSW is well advanced in these requirements,” Hebbes said. Variety says Peter joined Variety in 1987 and for 25 years has tirelessly dedicated his time to the aims of Variety acting in various capacities within the organisation which resulted in Peter being made a Life Member in 2003. By profession Hebbes is a veteran of the music industry, having worked in this field for over 40 year as a music publisher and music business consultant. Today he heads up The Hebbes Music Group which is one of Australia’s most successful independent music publishing companies. He is also the General Manger of the industry association AMPAL, a director of AMCOS, AMCOM and a past director of Nordoff Robbins Music Therapy, MIAC and APRA. Hebbes’ achievements culminated in his appointment as a Member of the Order of Australia, AM in 2006, for his work in the music industry and extensive charity commitments.